The camp was hosted June 10-16 by the Office of Diversity and Inclusion at the Sam M. Walton College of Business. That office joined forces with the college’s Social Innovation Hub and Noble Impact, a non-profit focusing on purpose-driven education, to introduce social entrepreneurial ideas and business skills to improve local communities. Fleischer Scholars prepare for their business plan competition at Walton. Student teams, primarily first generation aspiring college students, created a team brand, identified social issues within their community and then developed an entrepreneurial solution, business plan and presentation. Little Rock-based Noble Impact worked with each team to understand the social emotional intelligence of each group. Working with the Social Innovation Hub, Noble Impact mentored the student groups throughout each segment of the project. The camp culminated with business presentations that addressed a community need, including an after-school center, a charter school, a center for domestic-violence victims, a minority business hub and a food insecurity program. The summer camp was the initial phase of an ongoing mentoring program that will provide support throughout the teens’ college careers. When they return to campus, they will know other students, staff and faculty. In addition, they will be familiar with dorms, classrooms and the campus. Combining the summer camp experience with mentoring, professional development, business communication skills and ACT preparation will encourage students to stay in school and to graduate. Sponsored by Mort Fleischer, the cofounder and chair of STORE Capital Corp., the program is geared toward economically disadvantaged students and to encourage them to give back to their communities upon graduation. Local program sponsors include Signature Bank, Bank of England, Citizens Bank, First Arkansas Bank and Trust, Jim Nokes and Greenway Equipment. To qualify for the college scholarship, students must be admitted to the University of Arkansas, enroll full time, demonstrate leadership and commit to back to their local community through service. 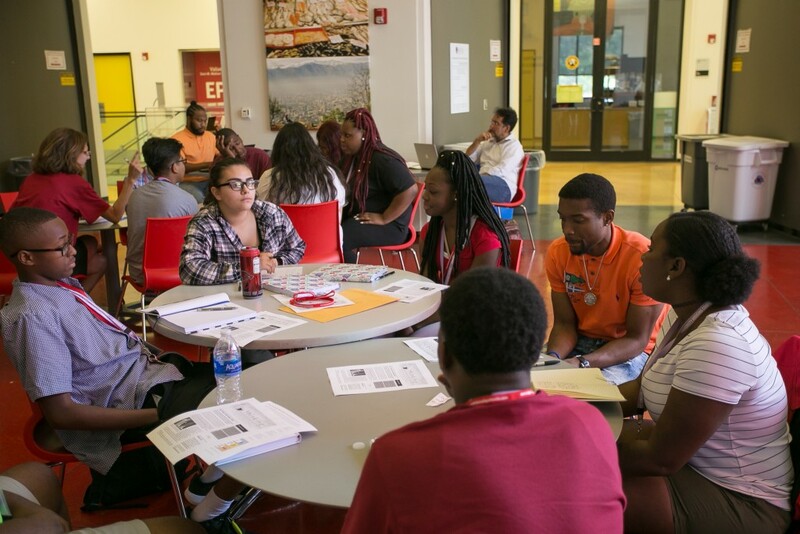 To quality for the summer camp program, students must be the first in their family to attend college, be economically disadvantaged, hold high college entrance test scores, be able to overcome challenges and have the drive to complete college.